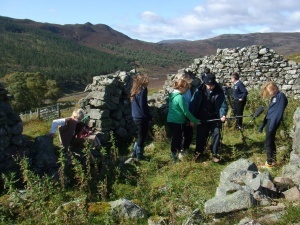 Aboyne Academy ran an ambitious project during sessions 2010-2012 based on the abandoned ferm-toun settlements at Auchtavan and Loin. 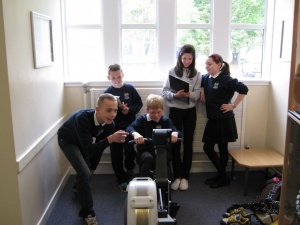 Pupils started work on the project in Primary 7 then continued during their first year at Aboyne Academy. 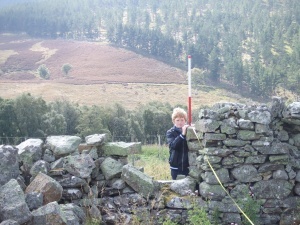 During the session every S1 pupil visited Auchtavan do undertake fieldwork; using plane tabling and other survey techniques to try to record all the abandoned buildings at this site. 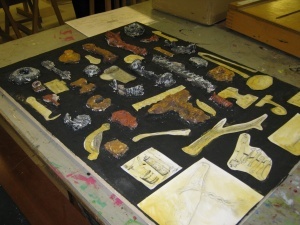 It is a rare example of archaeology in the curriculum. The project though was much more than this. 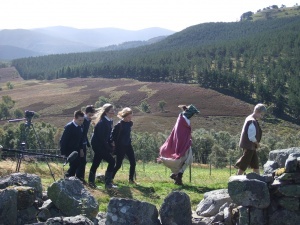 Over the year young people used Auchtavan as a focus for work in many subjects including Social Subjects, English, Drama, Music and Enterprise. They made films, posters, models, wrote reports, researched, worked with people from the local community, worked with people from wider agencies such as RCAHMS and Arcaheology Scotland, learned about their cultural heritage, left a lasting legacy of their work; and had a lot of fun. The information on these pages is not comprehensive; there is just too much to say and show about this project; but it does give an overview of the massive amount of work that went into the LOST? project. 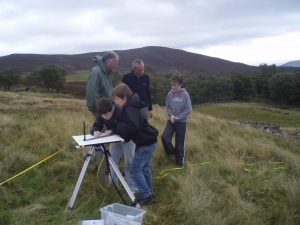 Plane tabling was a skill all pupils learned and led to a map of the wider Auchtavan settlement being created. 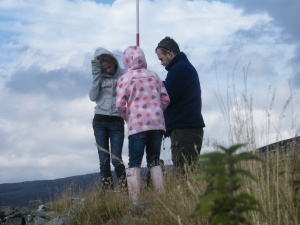 Training and support was provided by RCAHMS via the Scotland's Rural Past initiative together with volunteers from Archaeology Scotland and the local community. The finished mapping will be added to the national Canmore database of archaeological sites. Filming was an important part of the LOST project. Teams filmed to record the fieldwork and overall project. In addition, a film was scripted and produced by a team of young film makers in Performing Arts. Filming was an important part of the LOST project. Teams filmed to record the fieldwork and overall project. In addition a film was scripted and produced by a team of young film makers in Performing Arts. 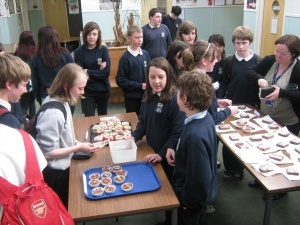 Pupils were involved through Enterprise classes in fund-raising to support the project. 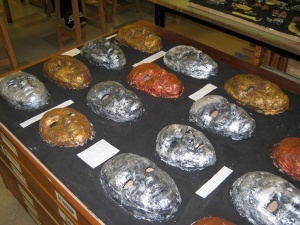 Art classes produced masks and artefacts based on Auchtavan and its people.